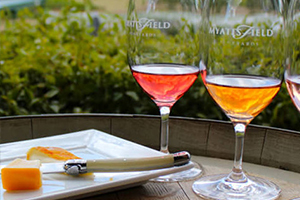 You'll find Myattsfield located in the warm, continental climate of the Bickley Valley in the Perth Hills. Visit the vineyard for wine tasting, bottle sales and wine by the glass accompanied by selection of local and international artisanal cheeses. 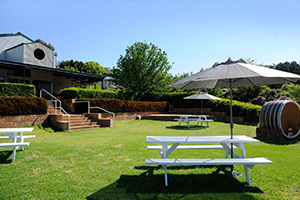 Linger for a while and enjoy spectacular views of the vineyard with a glass of sparkling, red or white wine in hand. The Myattsfield story begins in 19th century London with Joseph Myatt, a Rhubarb farmer dedicated to improving and popularising Rhubarb, even developing various strains of the fruit. Now, more than 175 years later, the descendants of Joseph are continuing the farming tradition in the Bickley Valley. The Darling Scarp protects the valley, resulting in cold nights and warm days, providing a unique climate likened to that of inland areas of Spain and Portugal. Visit the Vineyard to meet the makers and sample a taste of the Perth Hills in the beautiful Bickley Valley.